Most people I talk to about light pollution almost instantly relate to my research. They’re relieved to finally run into someone who understands just how aggravating it can be to have a bright white light shining into your bedroom in the middle of the night. However, very few people, in my experience, have thought about how those bright lights might also affect the insects, amphibians and fish living in urban and suburban streams. 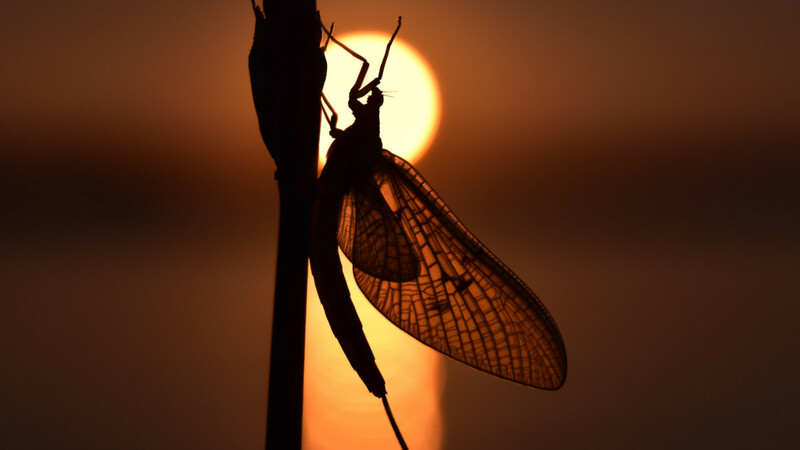 You may think of insects as primarily airborne creatures, but insects such as mayflies, caddisflies and stoneflies spend the majority of their lives as larvae in streams, eventually emerging as terrestrial adults who may only live for a few days or weeks. The main way these larval aquatic insects move through their habitat is by “drifting” — detaching themselves from the stream substrate and floating with the current before swimming back down to a new patch of substrate. Here’s where light comes into play. Drifting puts aquatic insects at risk of being eaten by visually oriented predators like trout, which will consume any objects they can see floating in the water. In order to decrease this risk, insects are more likely to drift at night, even avoiding drifting on nights with a full moon. The levels of artificial light at night can often exceed that of a full moon, so it is perhaps not surprising that when I experimentally increased light levels near some isolated streams I found significantly lower levels of drift rates. The artificial lighting I used in my first experiments was equivalent to what might shine on a stream from an average suburban neighborhood at night — or the light glaring in your window. Now, it’s true that a small proportion of insects do drift during the day. Sometimes it’s unavoidable — perhaps they’ve encountered a predacious insect and the benefit of escaping certain death outweighs the risk of a trout catching them. However, drifting during the day is certainly not ideal, and most insects will avoid it if they can. So what’s the significance of all this, and what difference does it really make if the drift rates of aquatic insects changes? Well, it comes down to the critical role those insects play in stream ecosystems. Larval insects keep algal biomass in check, help break down leaves that fall into streams, and are important components of both the aquatic and terrestrial food webs. Larval aquatic insects are a major source of food for fish and amphibians, and when they emerge from the water as adults they’re a key source of food for animals like bats, birds and lizards. An increase in predation on larval aquatic insects under artificial lights — either through fish being more active and able to see the insects at night or via a shift to daytime drift — could potentially lead to a decreased number of larvae processing algae and leaf litter and fewer adults emerging from streams. In turn that could lead to eventual decreases in populations of bats, birds and other species. We still have a lot more to learn about all of this. After my previous experiment, I still had a big question: Could these stream-based insects acclimate or even fully adapt to that type of artificial nighttime lighting? After all, if there’s no substantial difference in the predation risk a drifting insect faces at night in a lit stream versus during the daylight, then perhaps there might be less of a difference between the rates of insects drifting at night and day in brightly lit urban and suburban streams relative to their darker and more remote counterparts. To test this hypothesis, I used a tool called the New World Atlas of Artificial Sky Brightness to locate 11 sampling sites in western Oregon, each of which had a slightly different level of light pollution. I spent the last summer sampling aquatic insect drift rates at each site during the day and at night to see how the light might affect them. Of course, light itself is usually accompanied by other factors that could affect insect populations. An area has light pollution because humans live or work nearby, so there could also be an increase in other things that change the quality of water, such as sediment runoff or altered flow of rainfall due to impervious surfaces like roads or parking lots. These alterations could lead to different community compositions, which could lead to a change in drift rates just due to alterations in the number of aquatic insects living in the streams, or increased dominance by species that don’t engage in behavioral drift. However, by using the ratio of night to day drift as my response variable, I hoped to eliminate most of these potential confounding variables. I’m currently about halfway through processing my samples, and so far it’s difficult to say for certain if there’s less of a difference between night and day drift in more brightly lit areas. This is likely due to the interaction of unusually high water temperatures with the presence of light. Two of the darker streams from my experiments also had the highest stream temperatures, and those sites showed less of a difference between day and night drift. This perhaps suggests that the need for aquatic insects to seek out cooler, more favorable habitat overrides any increased risk of predation. I’m hoping these patterns will become more clear once all the samples have been counted. One of the necessary next steps in the research will be to determine if there’s an increase in predation risk under artificial lights, and then to find if there’s a light level where it’s actually more beneficial to switch to drifting during the day. Fortunately, the excess of light at night can easily be reversed if there’s enough political and personal will. 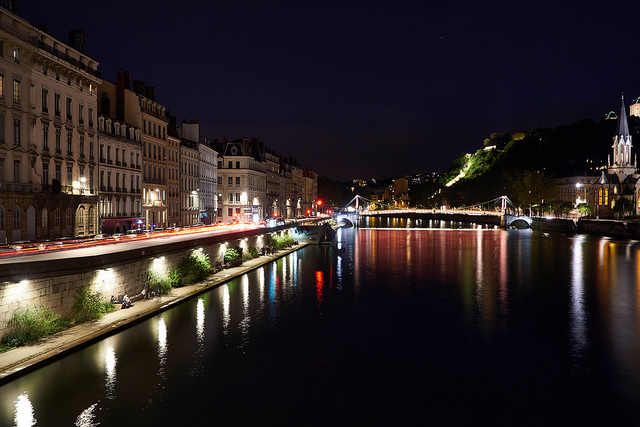 In France new regulations went into effect this year that stipulate when outdoor lights must be dimmed or turned off, what permissible emission spectra are for outdoor lights, and what are acceptable illuminance levels, among other policies. People can lobby local lawmakers to adopt similar regulations in their own towns or countries, but they can also make changes themselves that can reduce unnecessary light. For example, homeowners can make sure any outdoor lights they have are motion-activated or turned off before they go to bed. They can also only use lights with a correlated color temperature (CCT) of 2700K or less. Outdoor lights should be housed in fixtures that aim light only where it’s needed and reduce glare and light trespass. The International Dark Sky Association website maintains a list of dark-sky friendly fixtures for property owners. 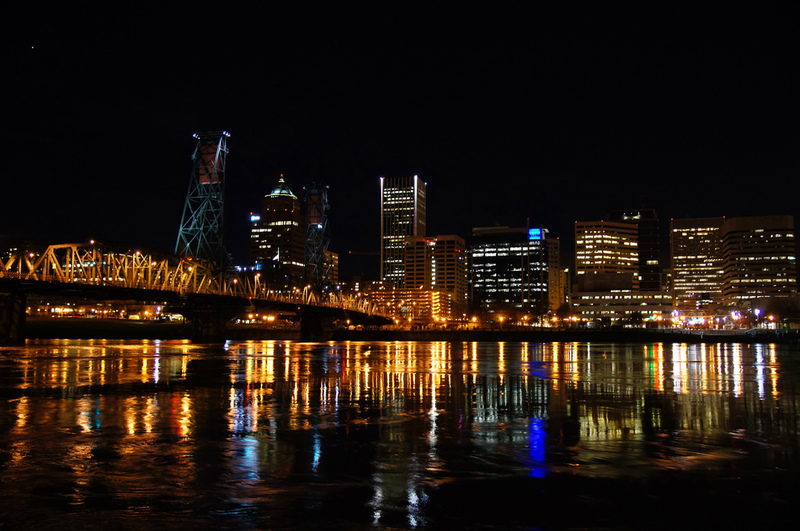 There’s still a lot left to learn about the effects of light pollution on the insects that live in our natural stream and river environments, and the river ecosystems themselves. My research continues, and I hope that more scientists will take up the mantle of better understanding how lights affect these little-seen but important ecological processes. 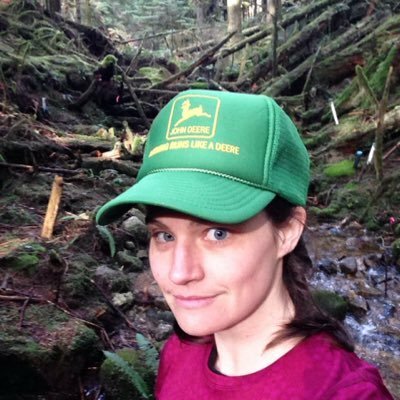 has been studying the effects of artificial light at night on river ecosystems since 2009 and is currently a visiting assistant professor in the Environmental Studies Department at McDaniel College.